Gleb Guralny from Dnipropetrovsk, Ukraine has released Traveler, a free western style typeface with wide and narrow characters, and lots of ligatures (automatically replaceable with open type features). The font is listed to be owned by "multiple owners" -- Guralny and Pixels Plus in Canada -- another free piece from the Russian graphics cartel encompassed in CreativeMarket, PixelsPlus and Pixels Surplus in Montreal. Guralny has designed a load of "western" style fonts! Who else designed a "Traveler Font" ??? You saw "PhotoWall" script above. This is not it, but PhotoWall is included in the commercial version of this font. This is a "demo" font. 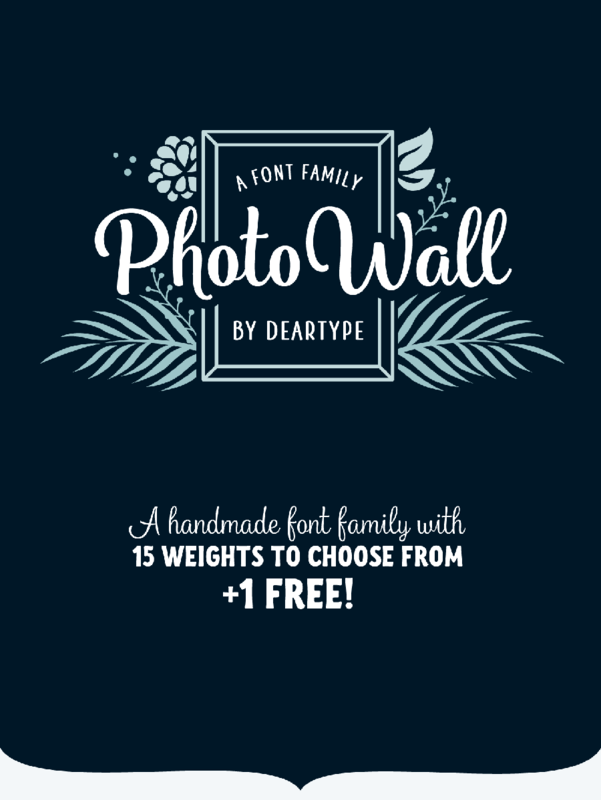 (Unfortunately, the designer promoted this "free font" as PhotoWall, in a bait-n-switch scam!) We love the script however, so we included it here. The whole Family in four weights with lots of swashes, ligatures and alternates. PhotoWall is perfect for logotypes, posters, cards, menus, product packaging and other printables, as well as web applications. It is friendly, fresh and fun to work with. Bernardo Ramonfaur from Mexico, has a bunch of interesting photos at his site. Just say "WOW"
He's also selling a ton of his art at the various online clipart houses. Scroll through a huge selection of thumbnails! Typography is an art . . . good typography is ART!